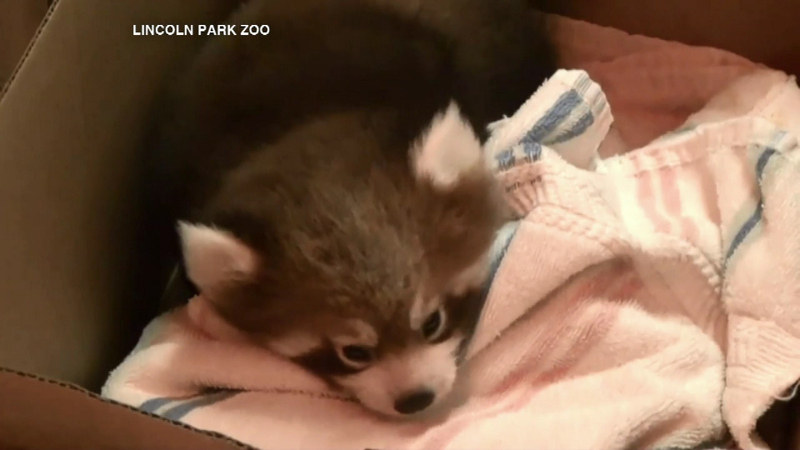 CHICAGO (WLS) -- The Lincoln Park Zoo's new baby red pandas, who are two months old, had their second physical exam on Tuesday. Clark, a male, and Addison, a girl, are doing well, zoo officials said. They are opening their eyes and have begun changing from their pale yellow fur into the iconic auburn coloration of the red panda. Since their last physical exam in July, Clark has doubled in weight and Addison has tripled in size. 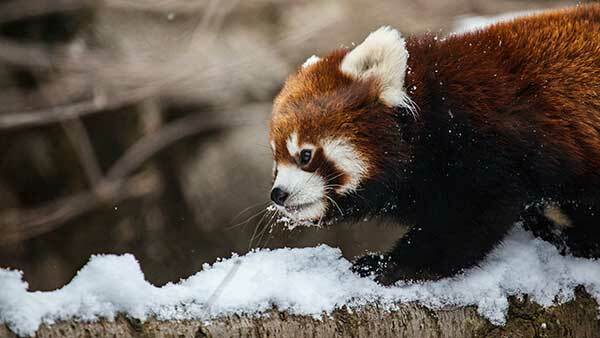 "The red panda cubs continue to be healthy and curious of their surroundings. The cubs are often seen trying to explore outside of the den before quickly being scooped up by their mother Leafa," said Curator of Mammals Mark Kamhout. "With this behavior we anticipate the cubs will be ready to make their public debut within the next several weeks." The cubs could make their public debut within the next few weeks.